After a fine gritty performance in the qualifiers, India's lone male archer Atanu Das produced yet another stellar performance to beat Nepal's Jitbahadur Muktan in the Round of 64 of men's individual event on 9 August. The 24-year-old defeated his Nepal rival 6-0 after a series of stunning shots in the match. He began with a perfect 10 and barring two 9s, all his other shots were 10. Out of a maximum 90 points, he shot a spectacular 88. His shots in the match read: 10, 9, 10, 10, 9, 10, 10, 10, 10. Das had also showed fine composure and skill to bounce back from a poor start in his maiden Olympics to finish fifth in the qualification round. Lying a lowly 10th after first 36 arrows, the 24-year-old Kolkata lad turned it around in style in the final set of 36 arrows by shooting 23 perfect 10s including 10 closest to the centre to finish fifth with 683 out of the possible 720. 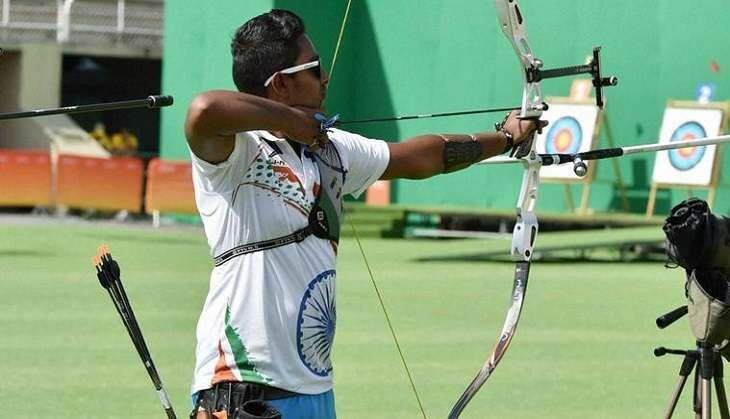 Das is the lone male member in the Indian archery team and will compete only in the individual section as the men's team had failed to qualify from the World Championship. Das will now face Cuba's Adrian Puentes in the Round of 32, while his probable semi-final opponent could turn out to be fourth-ranked Dutch man Sjef van den Berg who won the World Cup individual gold in Shanghai.